Since its foundation during the 1985 European Music Year, the European Union Baroque Orchestra – supported by the European Commission and by Microsoft – has provided young musicians with the unique opportunity to train through intensive rehearsal periods and concert tours with an orchestra specialized in the baroque repertory. The rich schedule for 2012 features five different programs that range over various aspects of the European baroque musical landscape, from the concerti grossi by Corelli and other Italian composers to the sonatas by Muffat, up to the orchestral suites by Bach, Händel and Telemann. Ballet music will be spotlighted in the program Danse des Zéphyrs that will present some of the most important French composers in this genre, such as Jean-Ferry Rebel and Jean-Philippe Rameau. The schedule is still provisional, as other dates might be added. At the end of this first phase 25 students will be selected and will spend six months together, training, touring and performing throughout Europe under the direction of leading specialists such as Lars Ulrik Mortensen, Margaret Faultless, Riccardo Minasi and Paul Agnew. 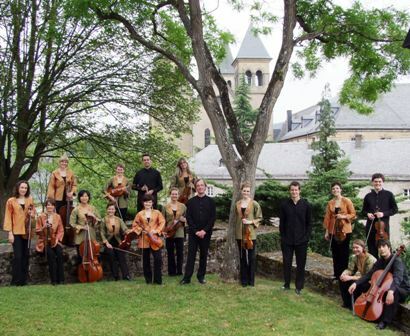 Applicants for the audition courses – that will be held in Echternach (Luxembourg) – must register online by 23 March 2012 on the Orchestra website eubo.eu/. The EUBO Development Trust funds bursaries to enable students, especially those from the 10 new EU Enlargement countries, to participate in EUBO auditions and activities.